This is the Editorial to a Special Issue entitled “Cyanobacterial blooms. Ecology, prevention, mitigation and control”. The Special Issue is a product of a European COST Action, CYANOCOST. In this Special Issue, contributions describe methods currently available for the management of cyanobacterial blooms, a key issue threatening the ecological functioning of lakes and the ecosystem services they provide . Contributions start with a section on the prevention of blooms, through the restriction of nutrient availability for cyanobacterial development at three levels: (1) in the catchment, (2) at the inflow to the lake and (3) in-lake methods, including nutrient release from the sediment. Then follows a section on control of blooms where blooms could be formed in the lake, but the chosen treatment restricts cyanobacterial growth to a level where risks and negative effects are minimal, e.g., artificial mixing, flushing or biomanipulation. The Special Issue continues with contributions on mitigation where blooms do develop, but physical and chemical methods mitigate the negative effects. For effective control key traits of the dominant cyanobacteria, characteristics of the lake system and an adequate design of the control method must come together. Each contribution answers questions like: what is the proposed or proven working mechanism of a given method? What have been the successes and failures? What are the reasons for success or failure? How is success linked to characteristics of the waterbody being treated? The Special Issue is concluded with contributions aiming at social and political aspects of bloom management . Guest editors: Petra M. Visser, Bas W. Ibelings, Jutta Fastner and Myriam Bormans/Cyanobacterial blooms. Ecology, prevention, mitigation and control. An erratum to this article can be found at http://dx.doi.org/10.1007/s10452-016-9600-5. Cyanobacterial blooms are the most conspicuous sign of eutrophication of freshwater ecosystems. Eutrophication, despite widespread efforts to reduce nutrient loading in many countries, still is a growing problem. To quote David Schindler (Schindler et al. 2008): “The greatest threat to water quality worldwide is nutrient pollution. Cultural eutrophication by nutrients in sewage, fertilizers, and detergents is feeding massive algal blooms, choking out aquatic life and outpacing heavy metals, oil spills, and other toxins in the devastation wrought upon the world’s fresh waters.” The direct and indirect effects of climate warming seem to increase the risk of cyanobacterial blooms, as simplified in the catchphrase “Blooms like it hot” (Paerl and Huisman 2008). Yet, if and how eutrophication and climate change interact largely remains an open question, and at present, there is only scant evidence for the risk of synergistic interactions between nutrients and temperature on cyanobacterial bloom development (Rigosi et al. 2014). Whichever way, cyanobacterial blooms have been present from even before human alteration of the natural environment—but human activities did greatly aggravate the problem—and it seems they are here to stay for much longer (Carey et al. 2012). Clearly, cyanobacterial blooms are not a problem of the past and this requires a comprehensive fundamental and applied scientific knowledge of the problem. This Special Issue of Aquatic Ecology is a product of a European COST Action, CYANOCOST, which aims “to coordinate and network the ongoing efforts and capabilities across Europe for the risk management of cyanobacteria and cyanotoxins in water bodies, by establishing strong collaboration between academia, authorities, industry, and citizens” (www.cyanocost.com). When you see or smell a lake or slow-flowing river in which scums of floating cyanobacteria are present, you do not need to be an expert to know that this ecosystem is in a dire state and one that no longer readily delivers ecosystem services like the provisioning of drinking water or recreation (swimming, surfing, etc.). Our expanding knowledge of the risks of toxic cyanobacteria for humans and aquatic biota (D’Anglada, 2015; Kozlowsky-Suzuki et al. 2012) adds a sense of urgency to mitigate, better yet to control or even prevent blooms. We distinguish three levels, i.e., prevention where the formation of blooms truly is prevented through management of nutrient availability for cyanobacterial development, control where blooms could develop in the lake but the treatment chosen restricts cyanobacterial growth to a level where risks and negative effects are minimal and mitigation where blooms have formed but they are reduced by physical or chemical methods to reduce negative effects, see final contribution to this Special Issue by Ibelings et al. (2016) for a more in-depth discussion. Given that the root of the problem is eutrophication, it seems more than reasonable to pose that prevention or control of cyanobacterial blooms ultimately must be based upon restricting the availability of key nutrients like phosphorous (Schindler 2012) and nitrogen (Paerl et al. 2011) for growth of cyanobacteria. What, however, if you are a lake manager that cannot afford to wait to break through the hysteresis that often characterizes lake restoration efforts (Ibelings et al. 2007)? What if your lake is closed every summer for recreation (following guidelines outlined in Ibelings et al. 2014) because of the risks of toxic cyanobacteria, and this causes political pressure for a quick solution to the problem? What are your options? Nowadays lake managers have the choice from a suite of methods, but attempts to control blooms have often been met with mixed success. Is there a best method or optimal combination of methods that one should apply? In this Special Issue of Aquatic Ecology, we aim to discuss the main methods available. There are many relevant questions to answer. What is the proposed or proven working mechanism of a given method? What have been the successes and failures? What are the reasons for success or failure? To what extend do local beliefs and perceptions of blooms play a role in the route chosen to restoration of lakes? How is success linked to characteristics of the waterbody being treated—e.g., depth, residence time—and, importantly, how is success linked to key ecological traits of the cyanobacteria being controlled? We, the editors of this Special Issue as ecologists, are indeed convinced that for successful prevention, control and mitigation of cyanobacterial blooms it is essential to understand the key functional traits of bloom forming taxa. It is those key traits that make cyanobacteria different from their competitors, give them an advantage in eutrophic or warming lakes, and it is these traits that make their populations reach bloom proportions. By changing the lake environment in a way that disallows these key traits to flourish—finding the Achilles heel of bloom forming taxa—a more tailor-made management of cyanobacterial blooms may become available. Accordingly, the first paper of this Special Issue is entitled “Understanding the key ecological traits of cyanobacteria as a basis for their management and control in changing lakes” (Mantzouki et al. this issue, 2016). The authors present a functional classification of bloom forming genera and identify for each functional group (1) their key traits, (2) functioning of these traits under scenarios of environmental change, and (3) how the key traits reveal the control methods which are most likely to be successful. This introductory paper is followed by four papers that—combined—cover the key methods to manage nutrient availability for growth of cyanobacteria. These are key contributions, in accordance with our central message that sustainable management of cyanobacterial blooms must be based upon controlling nutrient availability. Ibelings et al. (2014) explain that to most effectively protect consumers against the risks of cyanobacterial toxins in drinking water control measures have to be implemented at several steps in the chain from catchment to consumer, following guidelines outlined in the World Health Organization’s (WHO) Water Safety Plans (WSP). In this sense, we claim that protecting lake water quality from the adverse effects of eutrophication by managing nutrients all the way from the catchment level to the lake-inflows and in-lake P-release from the sediment is the best way to ensure that cyanobacterial blooms do not occur so that cyanobacteria and the toxins they produce cannot compromise lake ecosystem services (see the Synopsis of this Special Issue by Ibelings et al. (2016) for a definition of cyanobacterial blooms and a further explanation of the WSP approach). Nutrient management therefore should start at the catchment level, and this topic is treated in the paper by Hamilton et al. (this issue, 2016) entitled “Mitigating harmful cyanobacterial blooms: strategies for control of nitrogen and phosphorus loads”. The next level of defense would be to reduce—remaining—nutrients in rivers or streams, see the paper by Fastner et al. (this issue, 2016) which specifically deals with control of nutrients from point sources and is entitled “Combating cyanobacterial proliferation by avoiding or treating inflows with high P load—experiences from eight case studies”. The P-loading from point sources can be reduced through diversion of systems with high P-concentrations, improved sewage treatment or precipitation of P in the main tributaries. Finally, nutrients that despite measures in the catchment and/or at the inflow still reach the lake ecosystem and cause eutrophication can be treated using several methods, including controlling P-release from the sediments, some of which are presented in a paper by Douglas et al. (this issue, 2016) “Guiding principles for the development and application of solid phase phosphorus- adsorbents for freshwater ecosystems”. Management goals may vary from a rapid reduction in dissolved P to addressing seasonal enrichments from internal loading, targeting external fluxes due to anthropogenic sources, or the long-term inactivation of internal P-inventories in lake bottom sediments. The authors summarize the attributes of a range of P-adsorbent materials and judge their effects on the ecosystem as well as their cost-effectiveness. Nutrient loading from lake sediments can indeed greatly delay a return to a clear water state after external loading issues have been solved. Bormans et al. (this issue, 2016) in their contribution entitled “Controlling internal phosphorus loading in lakes by physical methods to reduce cyanobacterial blooms – a review” discuss the application of sediment dredging or hypolimnetic aeration/oxygenation/withdrawal as means to reduce internal P-loading. They conclude that these methods require careful planning, including a full understanding of the lake’s nutrient balance and characteristics of lake and sediment. The Special Issue continues with methods for the control and mitigation of cyanobacterial blooms that are not based upon restricting nutrients for cyanobacterial development. First physical methods—artificial mixing of lakes which removes the stability of the water column upon which buoyant cyanobacteria depend to outcompete their green algal or diatom, non-buoyant, competitors. This is reviewed in a paper by Visser et al. (this issue, 2016) entitled “Artificial mixing to control cyanobacterial blooms: a review”. Next up are chemical methods, the use of cyanocides which kill cyanobacteria. Products discussed in a paper by Matthijs et al. (this issue, 2016) entitled “Existing and emerging cyanocidal compounds, new perspectives for cyanobacterial bloom mitigation” vary from undesirable products from the past, e.g., copper sulfate or diuron to modern but insufficiently studied agents like nanoparticles. The paper finishes with an in-depth treatment of the use of hydrogen peroxide, which targets specifically the photosystem of prokaryotic cyanobacteria. Finally, biological methods are presented in which the structure of the lake food web is manipulated to increase (grazing) pressure on cyanobacteria. Triest et al. (this issue, 2016) introduce them in a paper entitled “Biomanipulation as a nature based solution to reduce cyanobacterial blooms”. The authors derive guideline- or threshold values for, e.g., the reduction of zooplanktivorous fish densities or stocking densities of predatory fish species. Alternatively one may strive to improve conditions for the growth of macrophytes in shallow (parts of) lakes, for instance through changes in the management of lake water level including lake level drawdown. Macrophytes may control phytoplankton including cyanobacteria in various ways, as discussed by Bakker and Hilt (this issue, 2016) in their paper “Impact of water level fluctuations on cyanobacterial blooms: options for management”. The authors conclude, however, that success is dependent on a great number of factors, including lake morphometry, sediment type, quality of (additional) inlet water and presence or absence of macrophyte propagule banks. A paper by Lürling et al. (this issue, 2016) entitled “Evaluation of several end-of-pipe measures proposed to control cyanobacteria” concludes this section on in-lake methods. It treats some of the more “exotic” methods, which have been suggested to control blooms and which are often commercially available. For most of these methods, e.g., the use of ultrasound or the so-called effective microorganisms, the authors conclude that there is no—or insufficient—scientific support to warrant their application. The last section of this Special Issue contains papers that move away from treatment of blooms focusing on a single method. Noordhuis et al. (this issue, 2016) discuss the case study of the Borderlakes in the Netherlands, where a number of the methods mentioned above were applied simultaneously or sequentially to finally result in the successful restoration of water quality and biodiversity. The authors do so in a paper entitled “Further improvements in water quality of the Dutch Borderlakes: two types of clear states at different nutrient levels”. Measures taken in particular included reducing nutrient loading into the lake, flushing and various forms of biomanipulation, both reduction of bream stocks and return of dreissenid mussels, which effectively grazed down the phytoplankton, including cyanobacteria. The paper by Stroom and Kardinaal (this issue, 2016) entitled “How to combat cyanobacterial blooms: strategy toward preventive lake restoration and reactive control measures” aims to support lake managers in choosing a tailor-made (combination of) method(s) which will give the largest likelihood of success, given the peculiarities of the lake ecosystem in question. Their action plan is based upon a quantitative diagnosis of the water system. Van Dolah et al. (this issue, 2016) in their paper entitled “Employing a Socio-Ecological Systems Approach to Engage HAB Stakeholders” emphasize the important role of social scientists in management of cyanobacterial blooms, since local perceptions and beliefs may lead citizens, NGOs, and officials to interfere with efficient lake restoration efforts. Successful control of cyanobacterial blooms is not only dependent on finding the appropriate technical means but also on engaging the wider community of lake stakeholders, an important element also for establishing a WSP. The final contribution comes from the editors of this Special Issue (Ibelings et al. this issue, 2016) in which they review and interpret all of the above in a papers entitled “CYANOCOST Special Issue on cyanobacterial blooms: synopsis—a critical review of the management options for their prevention, control and mitigation”. We express our hope that this Special Issue of Aquatic Ecology will deepen our understanding of the bloom-forming cyanobacteria and will prove helpful in successful and cost-effective prevention, control and mitigation of these nuisance, and costly cyanobacterial blooms. 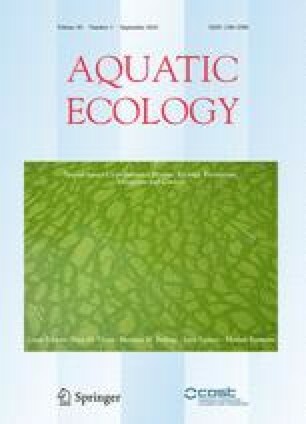 This Special Issue of Aquatic Ecology was developed as a product of the CYANOCOST Action, and we are grateful for the opportunity CYANOCOST has given us to put this Issue together, as well as for financial support.